Sipho Mbatha is one of the more than 200 people who joined the UDM in KwaZulu-Natal on Monday. Former Economic Freedom Fighters (EFF) member of parliament Sipho Mbatha has jumped ship and joined political opponents, the United Democratic Movement (UDM). Mbatha is one of more than 200 people from the EFF, African National Congress and the National Freedom Party who joined the UDM in KwaZulu-Natal on Monday. He resigned with another EFF MP Mmabatho Mokause in October last year. It was later reported they were instructed by the party’s central command team to leave. Mbatha served in the portfolio committee for higher education and training during his few years as an MP. 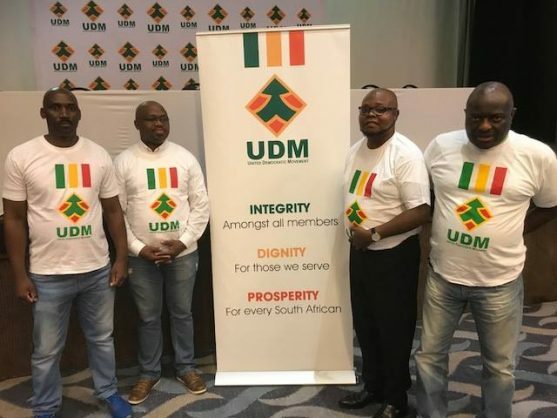 Welcoming the new members, UDM leader Bantu Holomisa said the UDM was growing at a fast pace in KZN. “As we welcome these like-minded individuals into the fold, we remind South Africans that political emancipation does not mean we have stopped in our quest for enduring freedom. “Our next goal should be economic emancipation, and the issue of land lies at the centre of the solution. The UDM has proved its consistency in calling for an economic Codesa, with the issue of land at the top of the agenda,” he said.